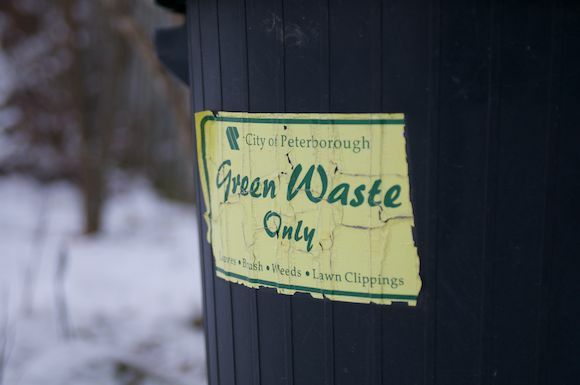 Place your green waste in reusable containers (with labels), bushel baskets or paper yard waste bags. No plastic bags. Securely tie brush in bundles up to 1 m or 3 feet in length and 30 cm or 12 inches in diameter, weighing no more than 22 kg or 50 lbs.